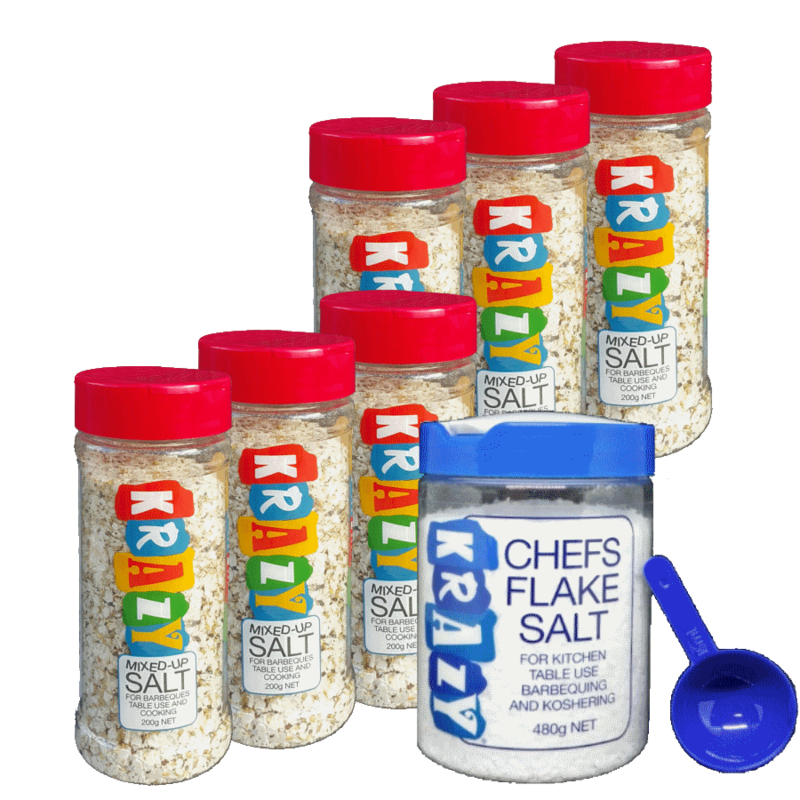 A seasoning that gives a New exciting and delicious flavour to almost any food. Makes a good food Special. Use as you would salt. including poultry, fish, meatloaf, barbecues, stews. Ideal as a dip for raw vegetables. 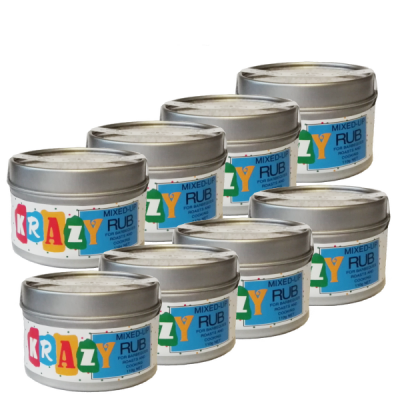 Use on salads, dressings, tomatoes, greens. celery, squash, string beans, potatoes. partially cut slices, roll in foil and heat. Use butter mixture on unsalted biscuits for a tasty hors d’oeuvre. cottage cheese, gravies, dips, poultry stuffing. If the ingredients separate shake vigorously to remix. 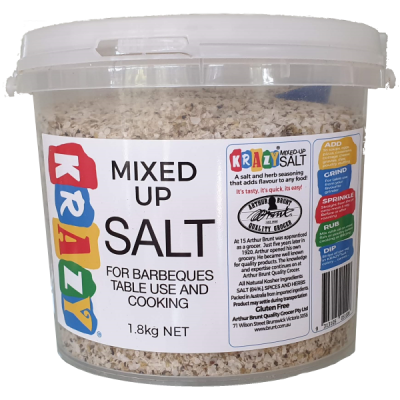 Krazy Mixed-Up Salt 1.8kg. Salt, herbs, spices and onion.